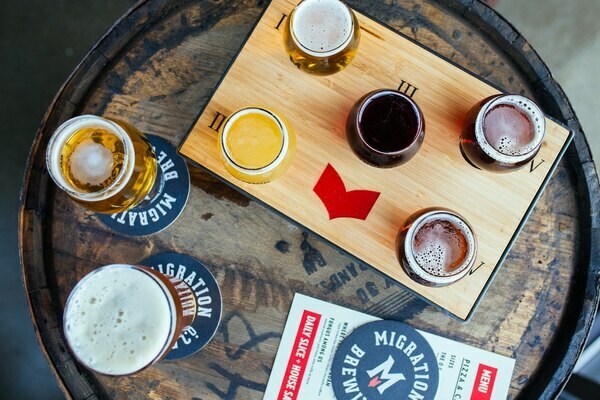 As the craft beer boom slows and larger brands clash over shelf space and off-premises tap handles, the little guys are realizing that the best way to grow will come not just through larger distribution, but by opening new outposts in historically underserved locations. 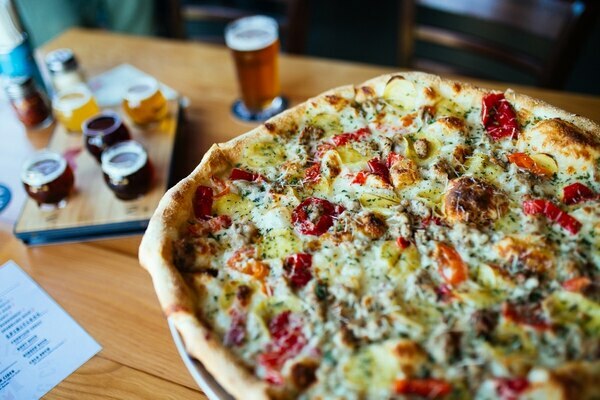 In the broader Portland area, that means setting up shop outside the heavily saturated city center, and providing those with semi-suburban abodes the same neighborhood pub experiences inner-city dwellers have enjoyed for decades. 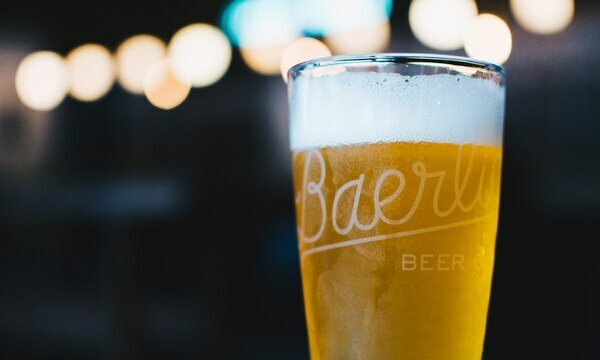 At a packed, gravel-lined lot on the corner of Northeast 60th Avenue and Halsey Street, Baerlic Brewing's new Beer Hall and Barley Pod (6035 NE Halsey St., baerlicbrewing.com) now offers residents of Rose City Park one of the most casually excellent pub experiences in town. A 10-cart pod with everything from greasy Bam Pow burgers to avocado-laden Korean-Hawaiian fusion from Namu paints a target around the brewery's small brick-and-mortar outpost in the center of the lot, providing even those with picky toddlers a myriad of tantrum-free food options. Inside a bright building with teal accents, 20 taps pour excellent ales and lagers made at Baerlic's 10-barrel production facility on Southeast 11th Avenue—as well as cider and wine made elsewhere—including the delicately fruity Read Between the Lines brett pale ale and Eastside Oatmeal Pilsner, which has a lightly silky mouthfeel that smooths out the zip from its floral noble hops. Such bright, summery beer is easily enjoyed outdoors in warmer weather, where a sea of picnic tables underneath a massive white tent provide a shady getaway from the world. For years, if you were heading out of town on I-84, the next place worth stopping for a pint was Hood River. 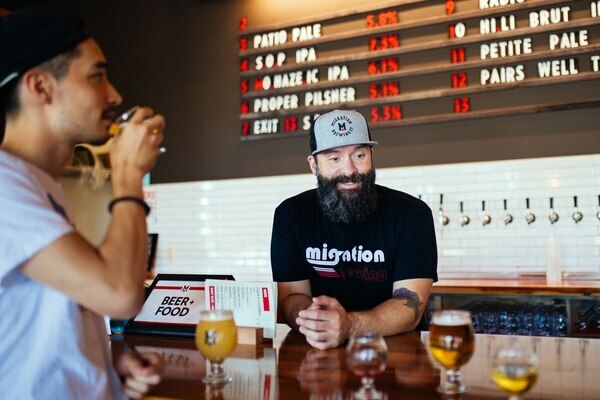 Now, longtime Northeast Glisan Street brewpub Migration has finally made good on its name, opening a fantastic new space just on the Portland side of Gresham (18188 NE Wilkes Road, 971 274-3770, migrationbrewing.com). 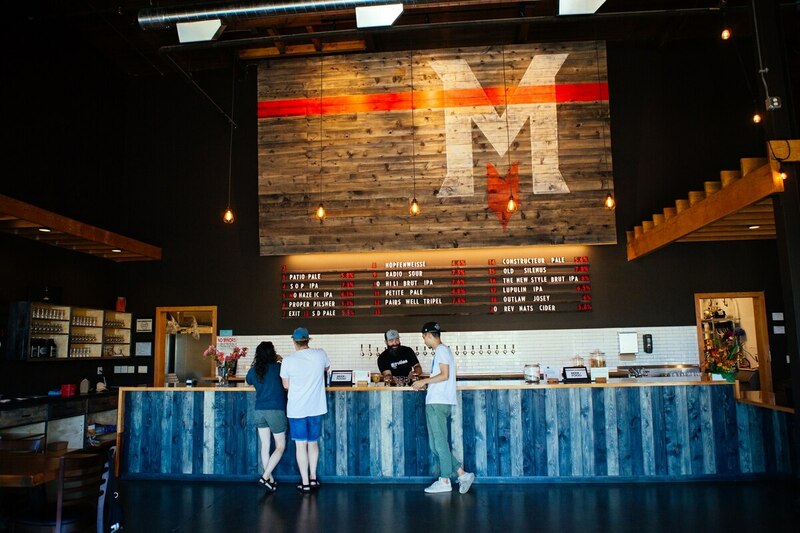 A 20 barrel brewpub and production facility housed inside a massive 20,000-square-foot space within spitting distance of Exit 13, the huge concrete interior is a stark aesthetic departure from the cozy wood-lined neighborhood location where the brand first put down its roots. 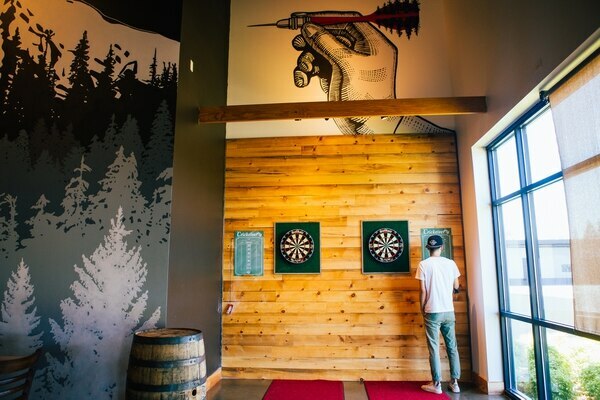 Still, inviting details like a pair of dart boards, a massive mural of Mount Hood and a colossal wooden sign above the bar do well to distract you and your tablemates from the scream of the interstate outside. 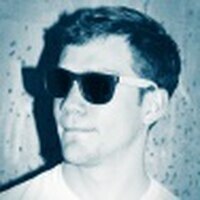 It also doesn't hurt that ex-Hopworks brewer Trever Bass has seriously upped the quality of the brewery's product. 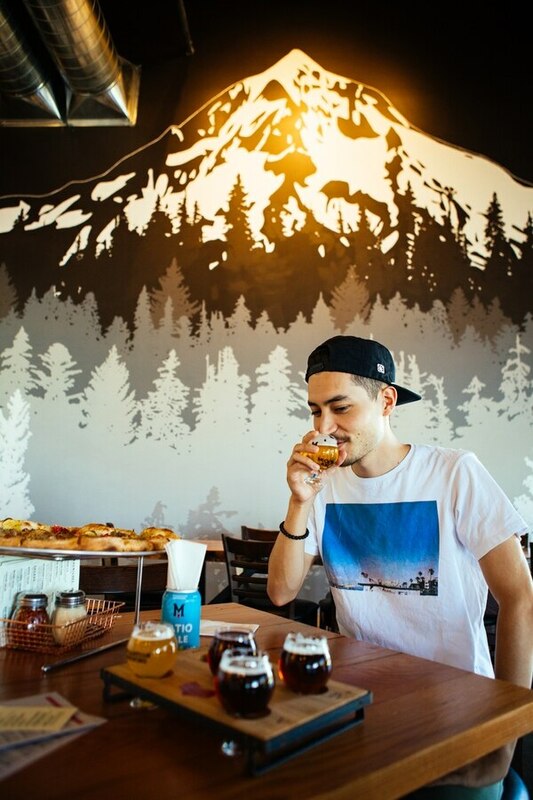 Every sip we took at the new Gresham location was worth a full pour, with the doughy Proper Pilsner and dry and bitter Mo-Haze-Ic IPA serving as particular delights in an otherwise flawless tasting flight. Food includes an assortment of sandwiches and pizzas, and we found the Mamas and the Papas ($26)—a garlicky pie with thinly-sliced Yukon golds, housemade fennel sausage and a light sprinkling of Mama Lil's peppers—perfectly cooked on our visit, with just the right amount of cheesy grease atop a perfectly charred crust. The most exciting part of all of this? 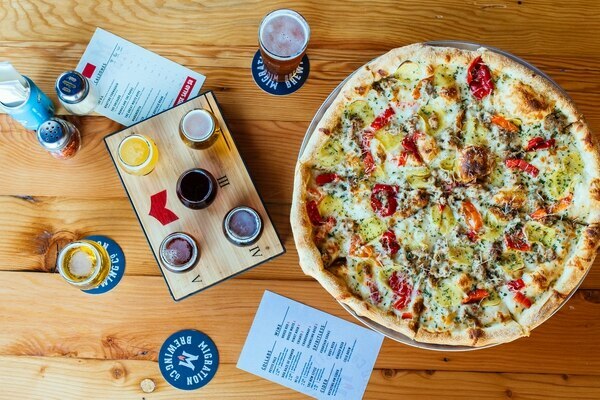 You can finally drive homeward to get pizza and a good beer after that day trip to Multnomah Falls, rather than trucking east to Hood River.